Karen Randall is founder and chair of the Cybersecurity and Data Privacy practice, co-chair of the Professional Liability practice and a senior trial counsel at Connell Foley. She represents clients in complex litigation, and regulatory compliance and defense matters involving cybersecurity, data protection and privacy, social media and professional liability. Karen provides counsel and advocacy in federal and state courts for both professionals and businesses across a broad range of industries. Karen has an extensive background counseling lawyers and law firms, health care entities, financial institutions and retail clients by providing proactive plans to address the myriad cyber risks they each face. She serves as a "breach response coach" across various industries, as well as for cyber insurance carriers, and offers strategic solutions related to post-breach matters including statutory notification requirements, class action litigation, regulatory enforcement actions, forensics and crisis management. Karen also helps companies conduct risk/security assessments, as well as implement data security and information governance policies and procedures, and security awareness training for employees. 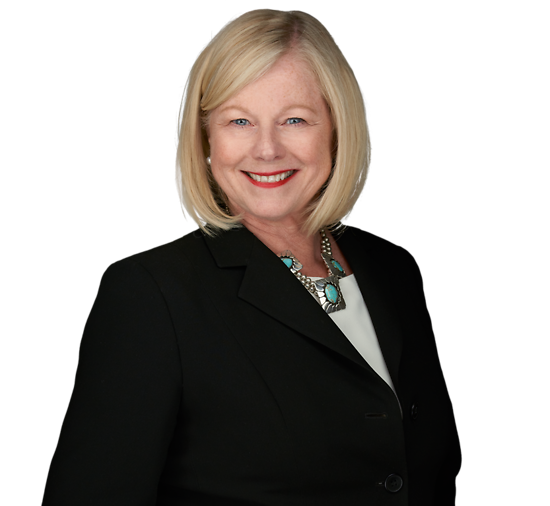 In addition, Karen maintains a strong professional liability practice, working closely with law firms, health care and assisted living institutions, architects and engineers, directors and officers and accountants. In her complex litigation work, she handles premises liability matters for major retailers and substance abuse treatment centers as well as amusement parks, concert venues and bowling centers. She defends these entities against diverse claims, including significant sexual molestation and elder abuse matters. A member of the International Association of Privacy Professionals (IAPP) and co-chair of its New Jersey KnowledgeNet Chapter, Karen is integral to numerous efforts to educate lawyers on information security and the ethics of data protection. She received two ABA presidential appointments to serve on the Cybersecurity Legal Task Force and the Standing Committee on Lawyer’s Professional Liability. She is a founder and co-chair of the New Jersey State Bar Association’s Cybersecurity Legal Task Force. Karen also serves as vice chair of the USLAW Network Cybersecurity and Data Privacy Group and co-chaired the Claims and Litigation Management Alliance's (CLM) NYC Cyber Summit. In addition, she is a member of the HIMSS' Security and Privacy committee. Karen was selected by Bloomberg BNA to serve as its New Jersey Contributing Editor on cyber and privacy issues for Bloomberg Law: Privacy & Data Security, focusing on the regulatory and compliance landscape of data protection laws in the U.S. and around the world. Most recently University of South Carolina School of Law selected Karen to lead it's Cybersecurity Legal Task Force and serve as Director of the Cybersecurity Institute. A Fellow of the American Bar Foundation, Karen was appointed by Chief Justice Stuart Rabner to serve on the Board on Civil Trial Certification. Karen's commitment to leadership, frequent speaking and writing underscore her trailblazing impact on the cybersecurity landscape. Randall and Kroll Author Continuing Series for USLAW Magazine's "Cybersecurity: The New Professional Risk"
Randall and Kroll Publish 2nd Article in 4-Part Series on "Cybersecurity: The New Professional Risk"
Connell Foley Attorneys Karen Painter Randall and Steven A. Kroll's Article "Getting The Monkey Off Your Back: Whose Privilege Is It Anyway?" Karen Randall Presents "Six Steps to Getting Closer to Law Firm Cybersecurity"
Quoted, "Ransomware Is Not Just Someone's Scary Story"
Quoted, "Dealing with a Data Breach"
Co-author, "The customer is always right: How clients are pushing their outside counsels to adopt stricter cybersecurity standards and protections"
Featured, "Three Cybersecurity Threats Keeping Business Owners Up at Night"
Co-author, "Here Today Gone Tomorrow: Wire Transfer Fraud"
Quoted, "The Digital Landscape Evolves"
Featured, "Storm of Cyberattacks Could Spur Beefed-up Cybersecurity Laws"
Quoted, "Implementation Deadline Nears for Major Cyber Security Rule"
Quoted, "Cybersecurity: A Subject Attorneys Can’t Afford to Ignore"
Author, "Protecting Data Security Risk Assessments from Disclosure in Subsequent Breach Litigation"
Co-author, "Data Security Problems for Sale: Cyber Risk Challenges and the M&A Landscape"
Co-author, "Risk Assessment Landmines in Data Security Breach Litigation"
Co-author, "The Legal Risks of Risk Registers"
Co-author, "Part 4 of 4: Law Firms -- The New Soft Underbelly of American Cybersecurity"
Author, "Sixth Circuit Denies Improper Disclosure of Protected Health Information as Claim Under False Claims Act"
Author, “New Found CGL Coverage for Data Breaches in the Fourth Circuit"
Co-author, "Part 3 of 4: Will a Cyberattack on the Energy and Transportation Industries Become the Next Global Crisis?" Author, “Increase in Ransomware Leading to Start-Up Company Specializing in the Technology Behind Bitcoin"
Quoted, "Technology’s Impact on Insurance Industry"
Co-author, "Cybersecurity: The New Professional Risk - Part 2 of 4: Keeping Customers' Data Close to the Vest - Cybersecurity Challenges in the Retail, Restaurant and Hospitality Industry"
Authors, “NAIC sets new cybersecurity principles"
Co-author, "Cybersecurity: The New Professional Risk - Part 1 of 4: Cyber Crime and the Vulnerability of the Healthcare Industry"
Quoted, "You’ve Been Hacked…But You Can Hack It!" Co-author, "How to be Secure in an Unsecure World"
Co-author, "Getting The Monkey Off Your Back: Whose Privilege Is It Anyway?" Co-Author, "Users of LinkedIn, Beware!" Co-author, "The Claims File: Friend or Foe"
Author, "A Dangerous New Twist in the Tripartite Relationship"
Co-author, "The Evolving Affirmative Duty to Investigate Social Media Evidence and its Impact on the Standard of Care"
Author, "Fair Debt Collection Practice Act Minefield"
Author, "Conflicts of Interest, Informed Consent and Legal Malpractice"
Co-author, "Informed Consent and Legal Malpractice"
Co,author, "Mistakes That Lead to Malpractice–Common Sense Approaches to Reduce Your Risk"
Author, "Director and Officer Insurance: A Primer on Coverage and Issues"
Co-author, "When Attorneys are Subpoenaed: How to Navigate the Evidentiary and Ethical Minefield"
Co-author, "Professional Ethics and The Retention of Closed Clients’ Files"